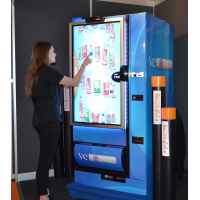 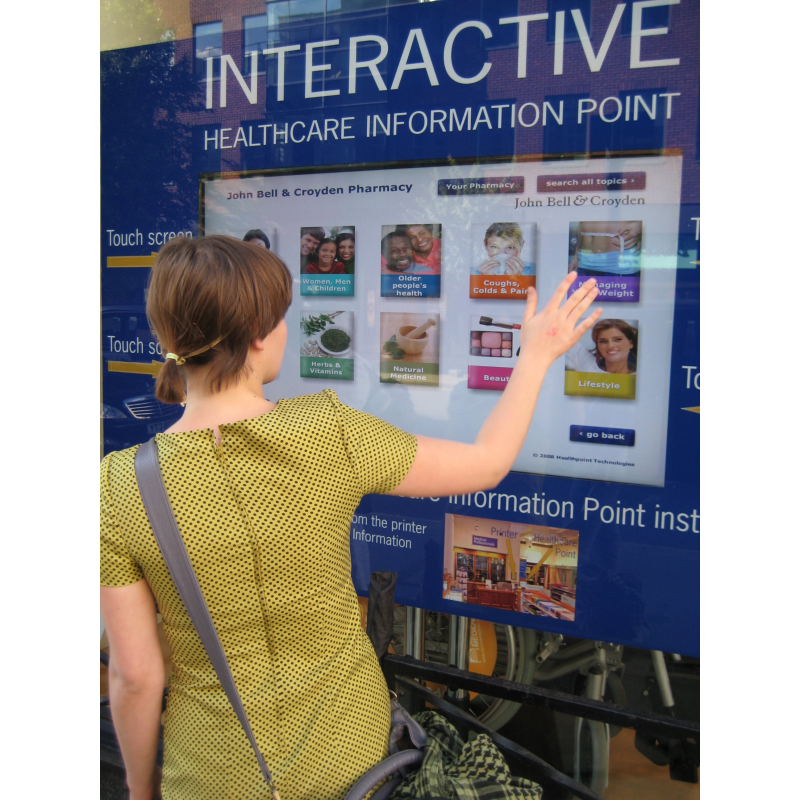 Do you want to engage customers with an interactive, immersive experience? 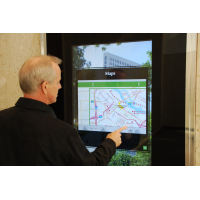 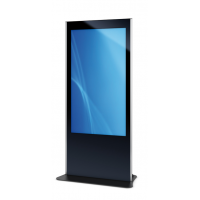 A touch screen overlay converts a standard LCD display or glass pane into a touch screen surface. 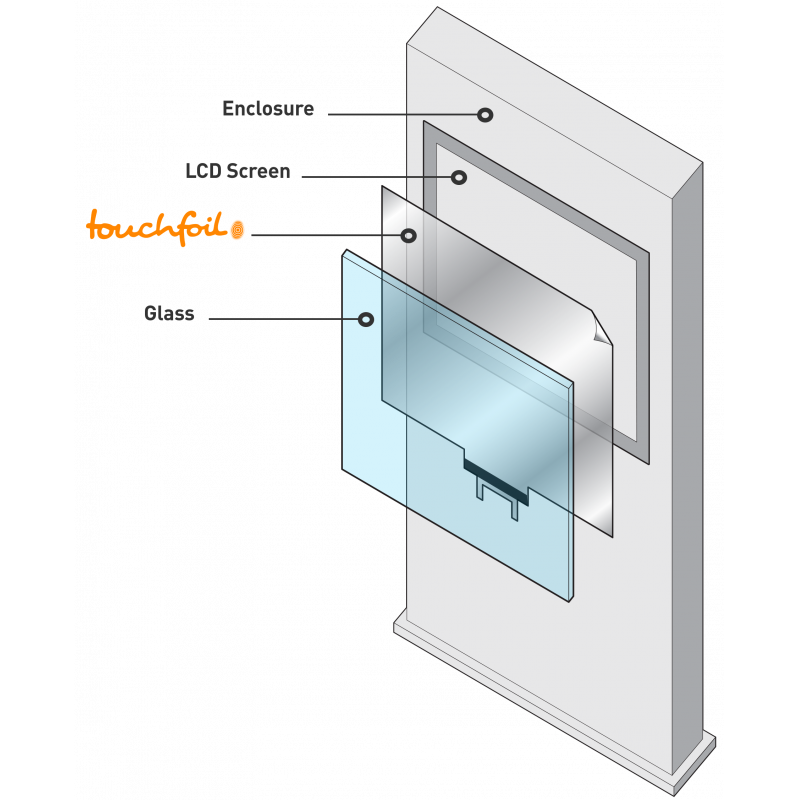 Fully waterproof, your touch screen overlay can be used with enclosures that are industry-rated up to IP68. 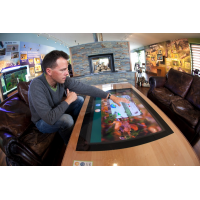 VisualPlanet is the founder of TouchfoilTM, an innovative touch screen film that can be used to create interactive and immersive experiences. 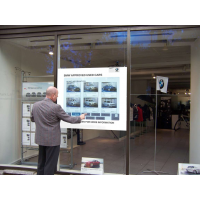 When applied to glass and then a standard LCD screen, the touch screen overlay uses micro-fine copper sensing elements to deliver touch performance. Utilising multi-touch technology, each foil can respond to up to 32 touches. 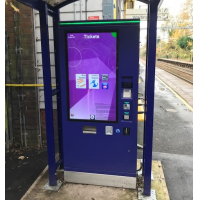 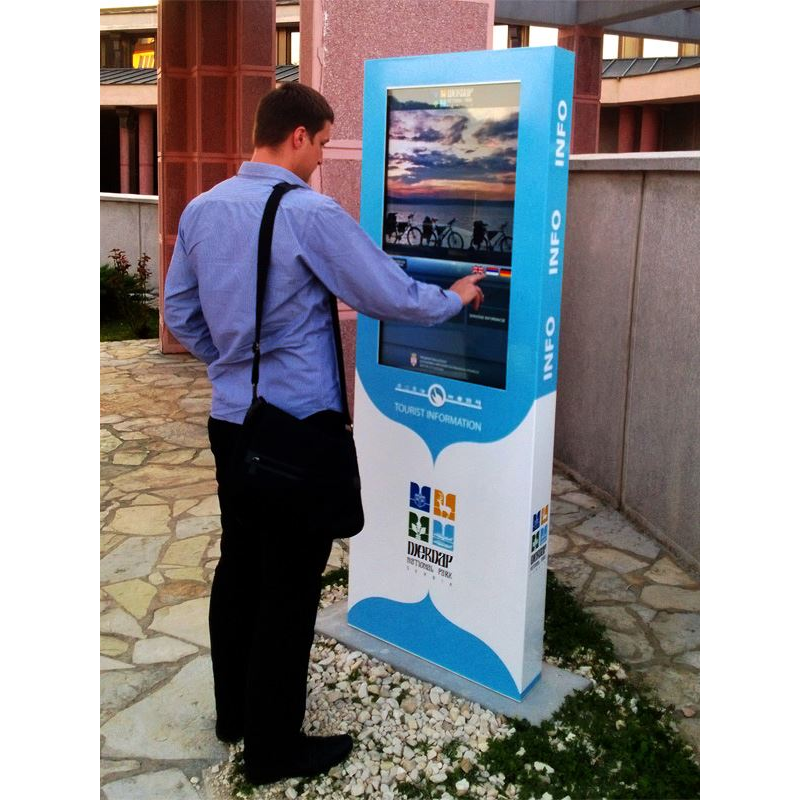 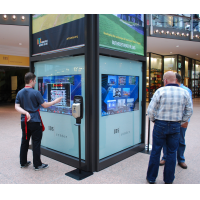 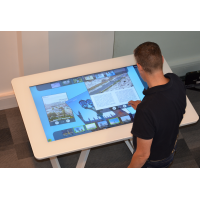 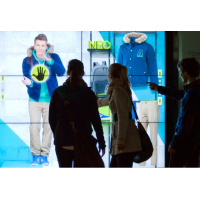 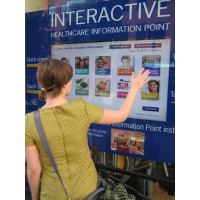 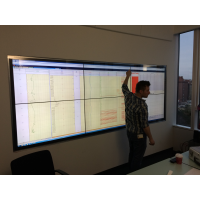 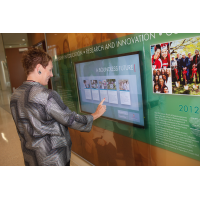 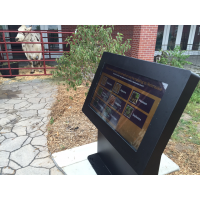 Several people can use the interactive display simultaneously, making it an experience that everyone can share together. 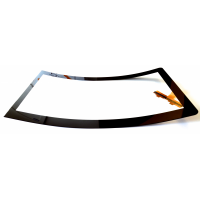 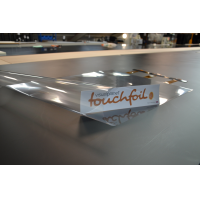 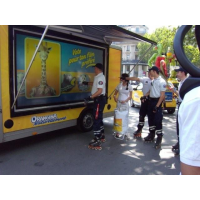 Available in sizes ranging from 15 to 85 inches, the touch screen foil is ideal for large format display applications. 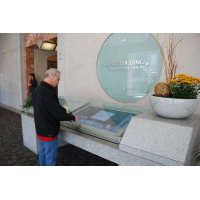 Simply apply to the back of glass to turn any small, medium, or large display into a touch-sensitive surface. 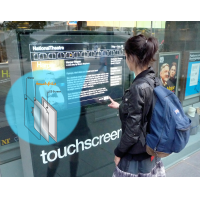 VisualPlanet’s projected capacitive (PCAP) touch foil is waterproof and rugged, ensuring you can use it for indoor and outdoor applications. 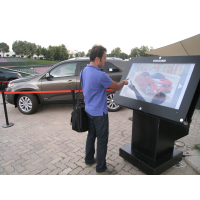 You can maximise your return on investment (ROI) anywhere and in any weather. 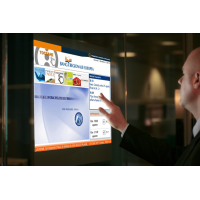 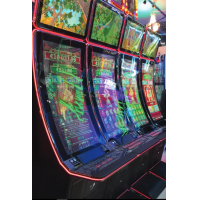 By working with leading glass manufacturers to design the touch glass, VisualPlanet guarantees a quality product that will turn your standard displays into interactive displays. A standard piece of non-interactive glass between 2 millimetres and 10 millimetres can be used for any of these applications when TouchfoilTM is applied. 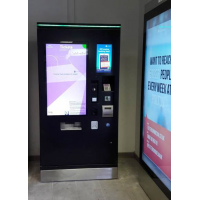 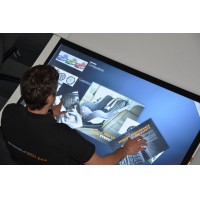 Multi-touch Up to 32 simultaneous touches makes the touch screen a sociable and interactive experience that maximises your ROI. 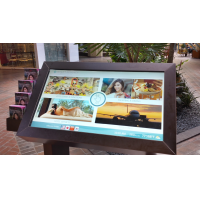 Weatherproof Whether it’s hot or cold, wet or dry, your touch screen can be used in any condition. 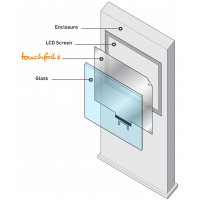 Suitable for enclosures rated up to IP68. 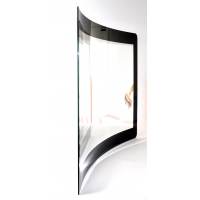 Flexible Can be used on almost any transparent, non-metallic surface, whether it’s flat or curved, indoors or outdoors, thick or thin.